"I don't do this for a living, but I do it to feel alive." This week, when I saw that sentence in a friend's post on Facebook, my eyes widened. YES, I thought. That is the exact feeling I have about going on yoga shoots! Taking my yoga practice outside so that I can shoot images for my blog... it is one of my absolute favorite things to do. It's just like the saying goes: "A picture is worth a thousand words." Especially when that picture takes you back to a moment you never want to forget. 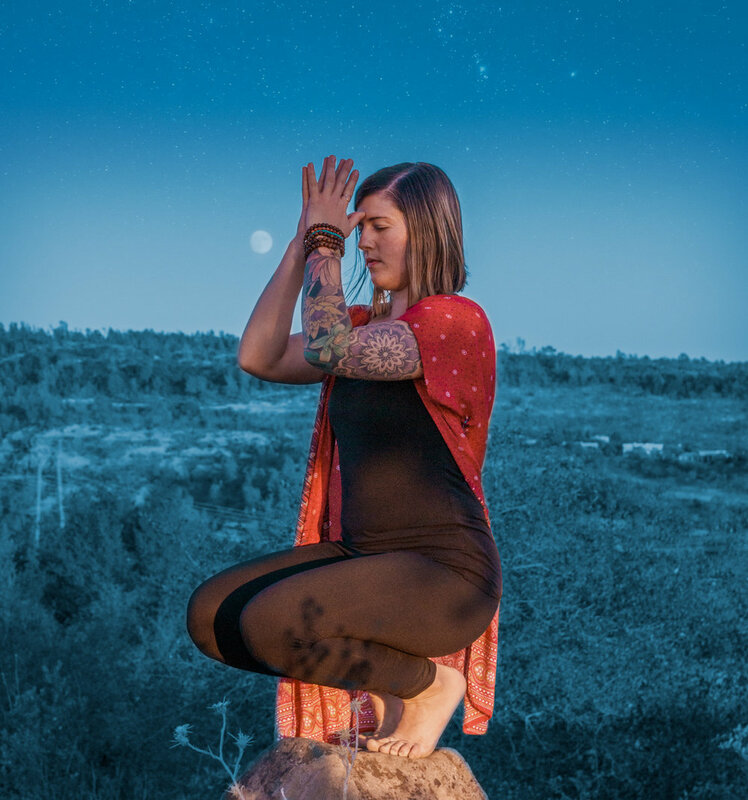 Art, created through yoga and photography. I love it. After completing move than 35 photo shoots (!!! ), I've learned a few tips and tricks about how to get the most out of the experience, and I've been through my fair share of random and unexpected situations. While the advice I'm offering here is meant for you, dear reader, it's also a list of reminders that I'll return to over the years as a way of finding inspiration for future photo shoots. When you're tired, stop and take a break to refuel. Find out what the terrain will be like, and bring appropriate shoes. Sandals are great because you can slip them on and off, but if you're hiking up or down a tricky slope, you'll want better shoes on. Tell your photographer if there's something worrying you or bothering you. Ask for help if you need it. Break the ice, get comfortable, and enjoy connecting with this awesome person that's an artist and is going to make you look amazing. If it feels like work, find a creative way to make the experience more enjoyable. Make a memory doing something new. Play some music. Dance around. Whatever it is you need in the moment, do it. Go big. Pick a location or a theme that's dramatic. Get your hair and makeup done. Buy the dress at the thrift store that you'll only wear for this shoot. Why not?! Know beforehand if you need more vertical shots or more horizontal shots...or (who are we kidding?) all squares for Instagram. ;) The more specific you can be with your photographer, the higher the chances you'll get exactly what you need from the shoot. Things you won't remember five or ten years from now: not being able to do the perfect arm balance, feeling bloated in your yoga pants, or forgetting a hair tie. Things you will remember: how gorgeous the sunset looked in the distance, how hard you laughed (with embarrassing photo to prove it), and how proud of yourself you were when you got the photos back. During a shoot in northern California, I got allllll up in some poison oak. I had no idea, and was going about doing some postures like Warrior II, with my arms outstretched, not minding that I was brushing by the plants. When the photographer realized what was up, he helped me get out of there and not freak out, although I must say, my heart was racing and I suddenly realized how often I touch my face because I was trying really, really hard not to. Fortunately I managed to get some special soap on my way home, do a very thorough scrub-down in the shower, and never had any redness or itching. PFEW! While shooting in San Diego, I went to the beach at Sunset Cliffs to get some badass sunset pictures. It was absolutely breathtaking, seeing the views of the shoreline and the color of the sky. We walked down this steep staircase to the water's edge, and back into a little cove where the waves were coming in. It didn't seem too strong of a current, but then all of a sudden, the tide started to come in and a huge wave crashed up all around us! It almost washed away my backpack and glasses. The photographer and I both got soaked but fortunately we were OK, the camera was OK, and we didn't lose any of our stuff! Now we know better for next time to be more careful in that spot! I met some cows during my last yoga shoot (photo pending!). So obviously, I sat down and did cow-facing pose with those guys in the background! ;) You never know what you'll find while out on an epic yoga shoot adventure, and that's the beauty of being out and about in the world, letting your yoga practice expand beyond your mat. Photos 1, 2, 3, 4 and 7 by Angelo Hilton of @angelo_chico_photographer and Momentous Photography. Photo 5 by Brynna Bryant of Respiro Photography. Photo 6 by Kimberly Lewis.